Benefit from our experience and knowledge. Make use of our longlasting contacts in all parts of the African Continent. Avoid potential socio-economical pitfalls in entering a new market. Get in touch with the right person for your project. 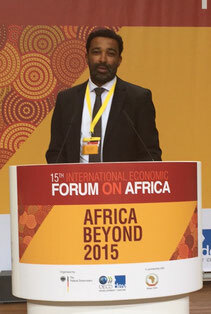 for companies, institutions and investors with a focus on Africa. on all levels – with a focus on the countries in West- and Centralafrica. for a specified country or region in Africa. with focus on Solar-Energy / OffGrid-Installations & PV-Parcs. at events and business meetings of all levels. You are planing to install a sales infrastructure in Africa - or you want to strengthen your business activities on the continent? Your benefit - Our competence! Facts & figures: local regulations, law requirements, regional conditions, etc.